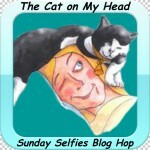 We're joining our friends at The Cats on My Head for the Sunday Selfies blog hop! What a pretty selfie, Mudpie! Miss Mudpie, we know your sadness, and we send hugs for being part of the hop this week. Mudpie, that is one terrific selfie. We like that a lot. Have a great day. Stunning! You look like a movie star, Mudpie, and we love it. You are gorgeous as always, Mudpie! Stunning reflective look, Mudpie. 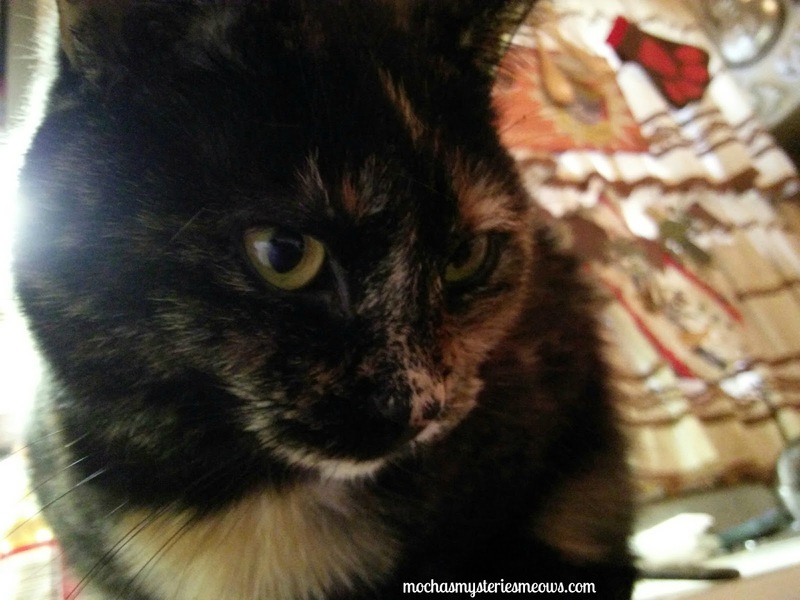 Bear Cat's favorite tortie always makes our day. You look very pretty today, Mudpie. P.S. : We have a giveaway for kitties on our blog. It goes until midnight if you would like to join in the fun. That's a lovely selfie, Mudpie! Mee-you NO werdss needed Mudpie!! Yur beeuteefull an wee luv you a lot!! As always, Mudpie's selfie is beautiful !!!! I liked it a lot !!!!! We want to thank you for your beautiful comments !!!!! We were very happy to read them during the year !!!! Have a great Sunday !!!!! Miss Mudpie you look so gorgeous! MudPie! Yous is drop dead GORGEOUS! My brother Kozmo thinks so too! He drooled all over the keyboard looking at your selfie! Beautiful shot, little one. And I know what you mean about not always feeling the need to share words. Sometimes, beauty speaks volumes. And you have plenty of that to spare!